A key for BMW cars manufactured between 1956 and 1995 cut to number or photo, except those with a laser cut key. Models Include: 1502, 1600, 1602, 1800, 1802, 2000, 2002, 3 Series prior to 1992 (E30), 5 Series, 6 Series and 7 Series prior to 1988. We do not use original BMW blanks, we use high quality steel blanks manufactured by Silca. 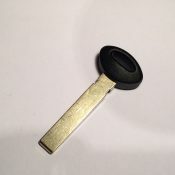 A laser key cut to key number for BMW cars manufactured before 1995. Models Include: 3 Series 1992 – 1995 (E36), 5 Series, 6 Series and 7 Series 1988-1995. Please fill in your key number on the checkout page. If you do not have a number, we can copy the key if you are able to send it to us by post. 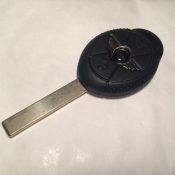 A single BMW Mini emergency key blade, cut ready to fit your car. 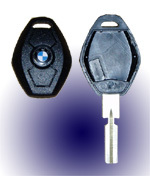 This emergency key blade will fit into a genuine BMW Mini keyless remote fob. 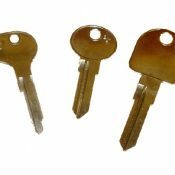 In order to cut your key, all we need is a photo of your existing key taken from above with the blade sharp and in focus, uploaded below. This key has space to fit the electronic parts of the key, but does not include the circuit board. You can use this key to repair your key, if the plastic parts have broken. This key will open the doors and turn the ignition, but it will not start the engine without a circuit board. We do not use original BMW blanks, we use high quality pattern parts. This key has space to fit the electronic parts of the key, but does not include the circuit board. You can use this key to repair your key, if the plastic parts have broken. Without the electronics, the key will only open the car, it won’t start the engine. 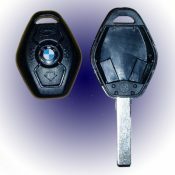 A single BMW key case, with the key blade cut to a photo supplied by you. This key case will accept the electronics from your original key, so all you need to do is swap the electronics over and the key will work without the need for any reprogramming at a dealer. PLEASE NOTE: This item does not include the internal circuit board.